Hot temperatures, high winds and low humidity are important factors in bushfire behaviour. 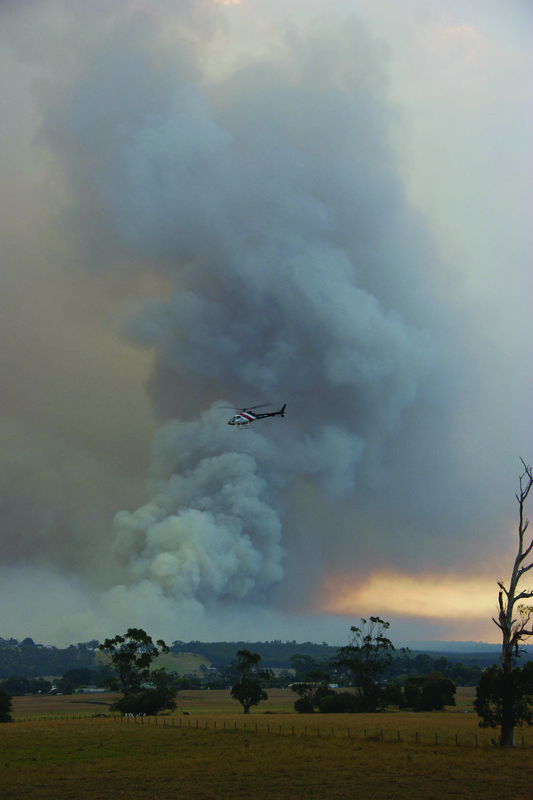 Predicting these complex weather interactions was the goal of a Bushfire CRC project led by the Bureau of Meteorology. Destructive bushfires are synonymous with spotting. Embers, such as flaming pieces of bark, are carried on the wind ahead of the main fire, resulting in a fire travelling a long way in a short amount of time. This can potentially catch firefighters and the community off guard. But what sort of weather leads to this extreme and complex fire behaviour? 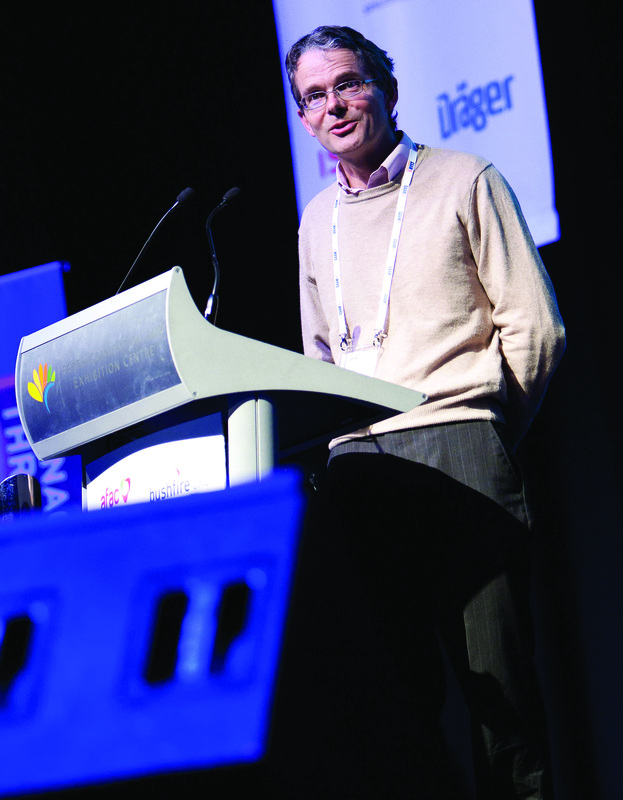 Dr Jeff Kepert, Bushfire CRC project leader and head of high impact weather at the Bureau of Meteorology in Australia, led the research. Computer modelling has become an essential element of modern weather forecasting. In 2009, the Bureau of Meteorology upgraded to a new modelling system, the Australian Community Climate and Earth Simulation System (ACCESS). It has brought a large improvement in forecast performance. Smoke plume rising around Yinnar at the Delburn Complex bushfire. A particular focus of the research simulations is spotting and ember transport. The team ran simulations of the weather experienced in Victoria on Black Saturday in 2009 to understand the conditions experienced, and to see just how far ahead of the main fire front spotting could occur. The research shows that these updrafts are a key factor in extreme and complex fire behaviour. “An updraft is buoyant hot air, which is caused by a number of things. The first is the fire itself. The smoke column from a fire is hot, and therefore ascends,” explained Dr Kepert. Anyone who has sat around a campfire would have seen embers suspended on a small scale. Between each pair of rolls is either an updraft or a downdraft. Dr Kepert noted that the simulations of Black Saturday showed the lowest four kilometres of the atmosphere was filled with roll vortices, with the associated updrafts peaking at speeds of 20 kilometres an hour, enough to suspend embers such as large pieces of bark. The updrafts are relatively narrow, whereas the downdrafts are broad. A wind change is a crucial time in fighting a fire. Eye-witnesses often talk about very intense spotting when a wind change occurs. The research has also simulated this. The research investigated these factors. Results show the updraft on the wind change is strong enough to suspend embers, so it is believed that in conjunction with the fire plume, it may result in an increase in spotting. But more research is needed to completely understand how this occurs, and why. Research such as this, along with more powerful computers and increases in satellite technology, have led to improved weather forecasts in recent years. Compared to Ash Wednesday in 1983, weather forecasts can now provide the community and emergency services with more accurate warnings of extreme weather, much earlier. The research undertaken by Dr Kepert and his team was part of a collaborative Bushfire CRC project Risk Assessment and Decision Making, which incorporated researchers from Geoscience Australia, CSIRO, the University of Melbourne and the Bureau of Meteorology. The collaboration developed a proof of concept software program that can show the probability of a fire impacting specific areas, taking into account variable factors like changes to humidity, temperature, wind speed and direction.